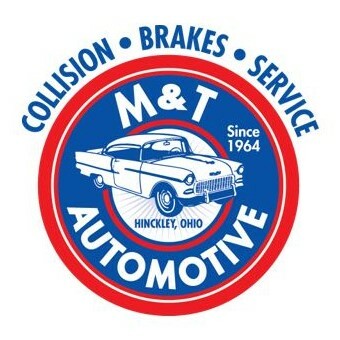 Serving Hinckley, Brunswick, North Royalton, Granger Township, Sharon Township and surrounding areas since 1964, M&T Auto Body and M&T Automotive are an integral part of the community, having served generations of families and friends. We welcome insurance work, fleet maintenance, and regular care and maintenance for individuals’ vehicles. John and his team repaired & painted some rusted areas on the top and sides of my Chevy Truck. They did a great job! 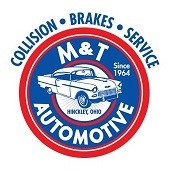 If you are looking for an auto body & repair shop that is honest, experienced, knowledgeable & CARES, M & T is the place to go! I will be recommending my family, friends, & clients. I recommend M&T to anyone who needs quality auto body work at a fair price and reasonable time. The staff is friendly, very experienced, and sincere – they stand behind their reputation and just do the job right. If you have a claim, they know how to work your insurance and guide you through the process. John knows cars. It shows in his work. John cares for his customers. It shows in his service, fair pricing, kindness and above-and-beyond efforts. His shop isn’t fancy, but his workmanship and courtesies are first class. Be prepared for an emergency – put his number and address in your phone! John with M&T Auto does great work and is always looking out for the best interest of the customer. I would recommend this auto body shop to everyone I know.